The firm offers top quality lawyers and staff that are dedicated and passionate about providing first-class legal service and representation to individuals and families throughout Nova Scotia. 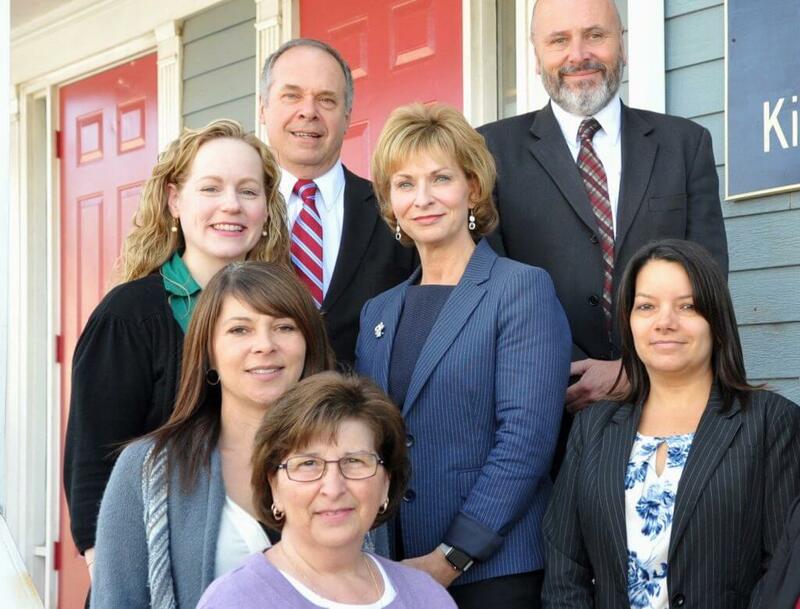 As a general practice law firm, Kimball Law provides services in many areas of law for people and businesses in NS, while being known for their Litigation practices in Divorce and Family Law, Personal Injury & Insurance Law. Kimball Law – originally Kimball & Associates – was established over 40 years ago in 1978 by the senior partner, Derrick Kimball. The firm was opened with clear and transparent values. Simply put, serving people who were in need and doing so in all areas of the law that affect ordinary people in Nova Scotia. Many of our clients include people who have been seriously injured or suffer from disability, whether in a car or motorcycle accident, slip & fall, insurance claims and long term disability cases. These types of case law represent one side of the practice. This part of the firm is focused on people who have had something unexpected happen to them and now are seeking compensation for lost wages and other damages due to temporary or permanent injuries sustained from traumatic, unexpected events. The other side of the firm deals with a variety of planned circumstances. This includes family & divorce law, property law, wills & estates, criminal law and commercial law for small businesses in Nova Scotia. No matter what your legal needs are, our lawyers at Kimball Law have decades of experience in practicing law in many areas of the law and will give you first class legal advice and service that you deserve. We’re not allowed to say we’re the best lawyers in Nova Scotia and even if we could, we would rather our track record speak for itself. Kimball Law is proud to serve the entire province of Nova Scotia, including the Annapolis Valley, Halifax, Cape Breton, Yarmouth and the South Shore. The head office is located in Wolfville on the corner of Front and Central. As soon as you walk in, you will be greeted by our friendly team of dedicated staff. Our staff have many years of experience in working with people from all different backgrounds in unique circumstances. They take a personal approach to address our clients’ individual needs. We are proud to say that our personal and professional approach is reflected in each member of our staff. If you would like to learn more about us, we encourage you to look at our videos page, read up on our FAQs as you may find information that could help you – regardless of the lawyer you choose. Also check out our Areas of Practice to find out more information about the types of law we practice and better understand how we can help you.